The new 2017 Ram 1500 refused to leave well enough alone. 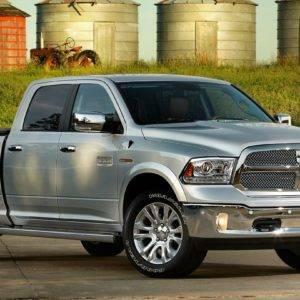 Ram engineers and designers have been hard at work to produce the finest truck to date. Whether you like trucks for style or function, the 2017 Ram 1500 can be configured to meet your needs and desires. Every trim level has power to spare, space to store, and capabilities to endure whatever task you need completed. 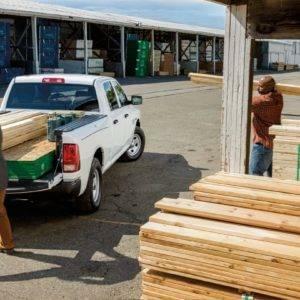 Ram has trim levels to address every truck buyer, so there’s no reason the new Ram 1500 can’t be in your driveway soon. The 1500 Rebel, with its class-exclusive standard active-level four corner suspension is ready for your rugged weekend escapes from Tomball. The Ram 1500 Laramie Longhorn appeases your inner Westerner, however it’s more than prepared to conquer driving on any Houston road. Tomball Area, say “howdy” to the 2017 Ram 1500! 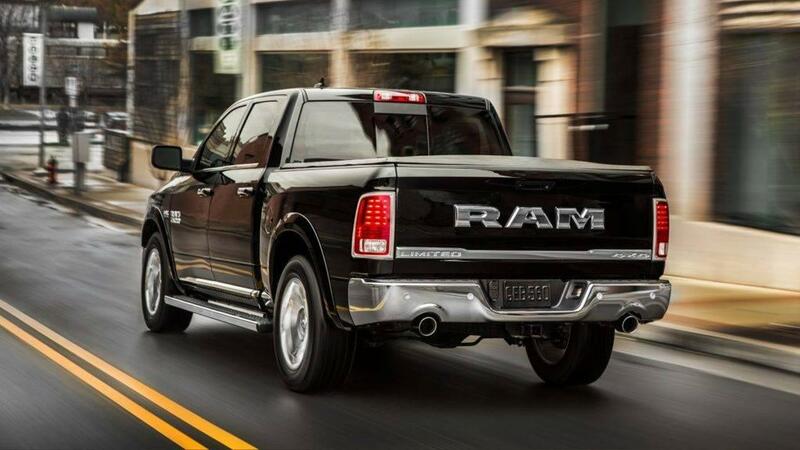 The first thing you’ll notice about the 2017 Ram 1500 is the beautiful curvature of the body. The lines flow smoothly from one panel to the next, but it doesn’t stop there. You can customize the appearance of your Ram 1500 with paint matched bumpers, step bars, blacked out emblems, chrome accents, chrome emblems, tonneau covers, trailer-towing mirrors, bigger wheels, and so much more. What you envision as your ideal 2017 Ram 1500 can be made a reality, making your first impression of the 1500 your best impression. There’s no denying that the 2017 Ram 1500 is as beautiful as they come, but the 1500 has more than just runway looks. The 1500 is ready to do the grunt work for you. 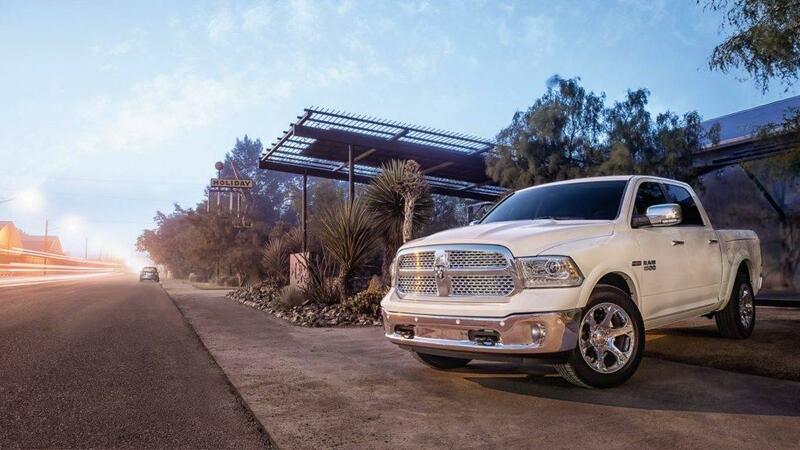 Depending on the way you configure your Ram 1500, you’ll have different capabilities. 3.0 liter Ecodiesel–240 hp and 420 pound feet of torque–can be equipped to handle a max tow capacity of over 9,000 pounds, and a 1,510 pound payload capacity. 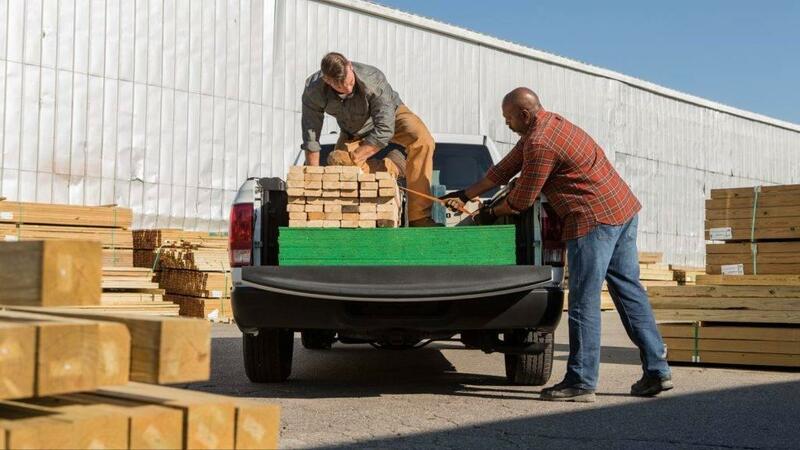 3.6 liter Pentastar V6–305 hp and 269 pound feet of torque–when properly equipped, your truck will have a max tow capacity of over 7,500 pounds, and a 1,880 pound payload capacity. 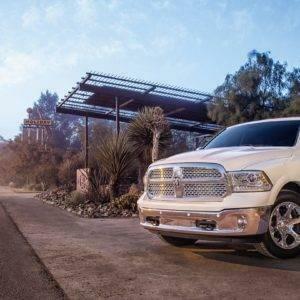 5.7 liter Hemi V8–395 hp–when properly equipped, your new Ram will have a max tow capacity of 10,220 pounds, and a 1,690 pound payload capacity. 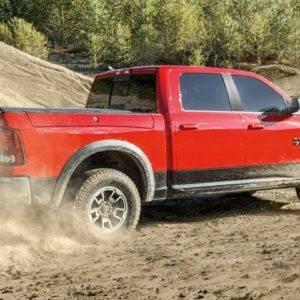 Ram’s Torqueflite 8-speed transmission is standard in every 1500. 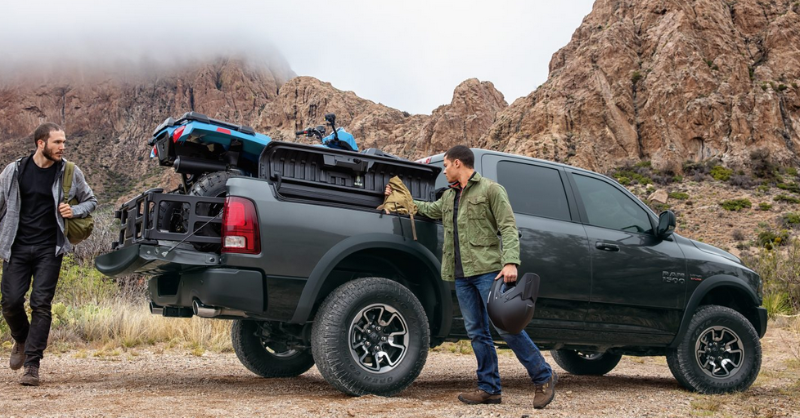 Maybe you’re considering the Ram 1500 as a family vehicle, in which case you’d need room for groceries, beverages, a baby seat, and a stroller. Or maybe you need a truck that’s fit to carry your crew to the job site. You don’t need two different vehicles. 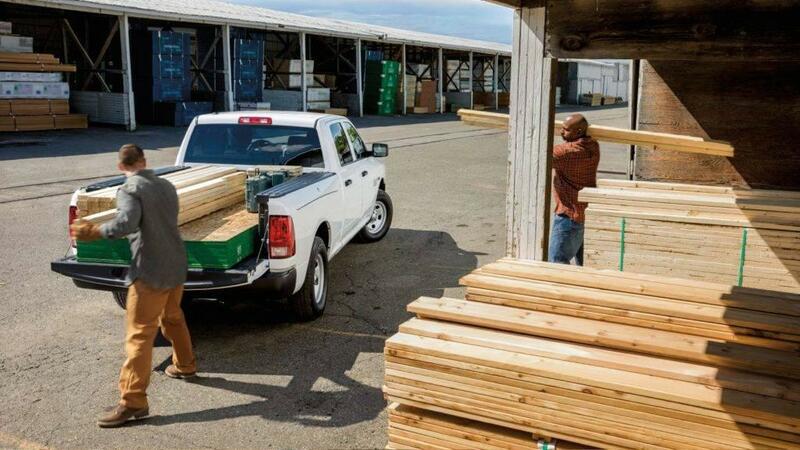 The 2017 Ram 1500 can fit your family, your groceries, and even your coworkers. Depending on the trim level and configuration, your 1500 can seat 5 or 6 adults. Yes. Adults. 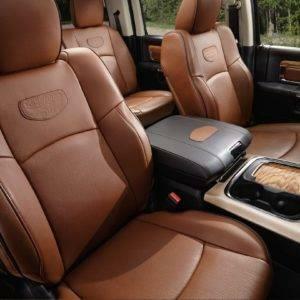 In the 5-seat configuration, the center console is dual leveled with a deep compartment for larger items, like files or a package of trail mix. The smaller section can hold pens or earphones. Additionally, Ram has provided a nifty center stack where your cell phone or media player can be securely wedged. In either the 5 or 6-seat layout, the back seats easily lift up to reveal cubbies for more storage. Additionally, there are two recessed cubbies in the back. If you like to brown-bag it for lunch each day, you can keep your food and beverages cool with ice. For your convenience, the cubbies are removable and washable. The back seats also fold up, and you can create a flat storage area in the back, so long as you have no passengers in the rear. If you have a newborn, this can also be an impromptu changing station: diapers and wipes not included at any trim level. Sorry. 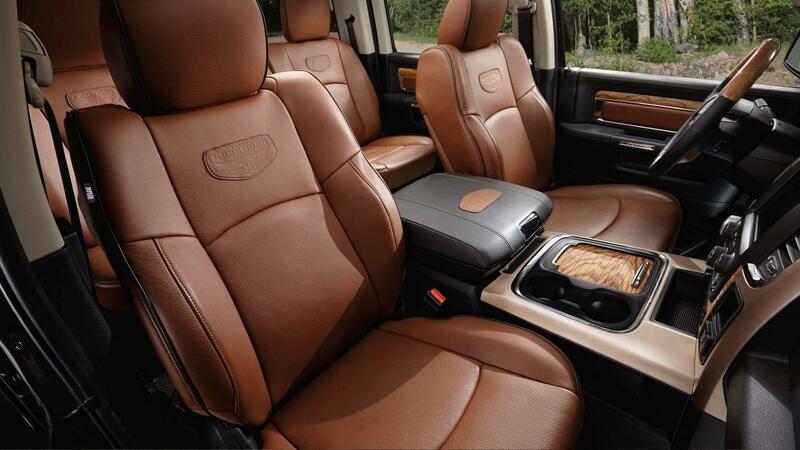 If that isn’t enough, you can outfit your 2017 Ram 1500 with the class-exclusive RamBox. 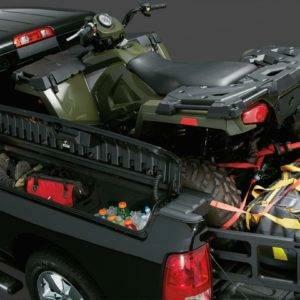 The Rambox is on either side of your truck, spanning the length of the truck’s rear. No other truck even comes close to this type of ingenuity. 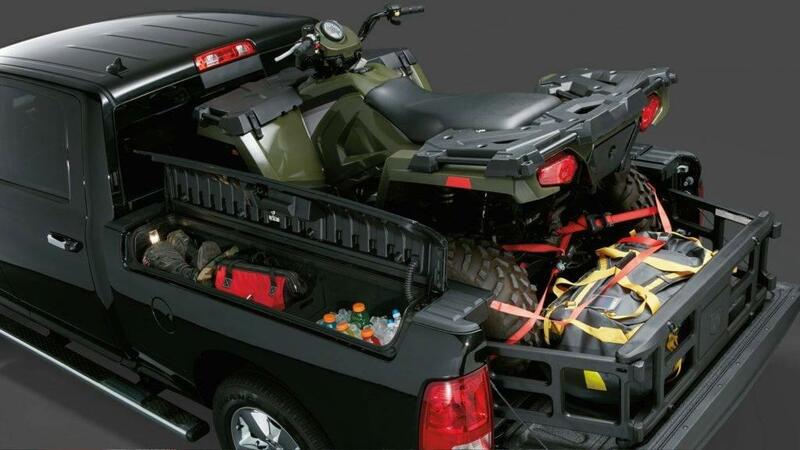 This secure storage system can house toolboxes, extension cables, ropes, camping supplies, fishing poles, and so much more. 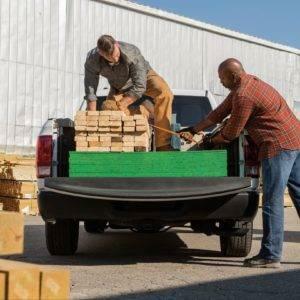 The crew cab will have a more spacious interior (125.3 cubic feet), and will have two bed length options: 5’7” or 6’4”. 116.6 cubic feet of interior volume and a 6’4” bed length can be had in the quad cab configuration. Either option can be outfitted to seat up to six passengers. This is great news, especially for those driving from the Houston Area, to Tomball. Traffic can sometimes be slow, but you and all your passengers will had enough space to comfortably enjoy the airy cabin of either cab option. 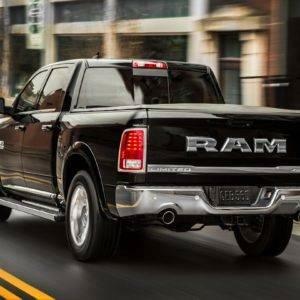 Dynamic front crumple zones, side-impact door beams, all speed traction control, hill start assist, rain brake support, hydraulic boost compensation, and trailer sway damping are just some of the ways Ram has worked to keep its drivers safe. The class-exclusive multilink coil spring rear suspension, front short-/long-arm suspension with coil springs and stabilizer, and shock absorbers all work together harmoniously. The results speak for themselves: the most comfortable ride in its class, longer-lasting tires, and impressive handling. 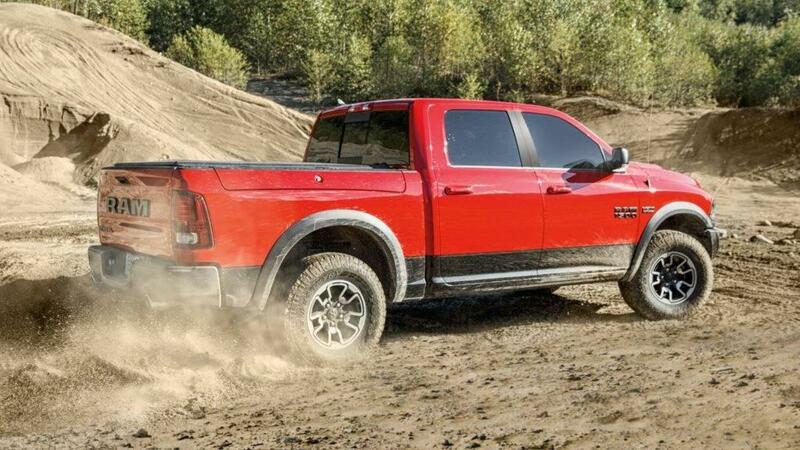 Four- and Seven-pin trailer connectors are provided on all Ram 1500 models, and all 1500 models employ the use of high-strength steel. Ram has done its research and proven its aerodynamics through wind-tunnel testing. The 2017 Ram 1500’s body is engineered for optimal aerodynamics, which helps it yield an impressive gas economy. If outfitted with the 3.0 liter Ecodiesel V6, your new 2017 Ram 1500 could see up the 29 highway mpg! This level of fuel economy outperforms any other full-size pickup–period. 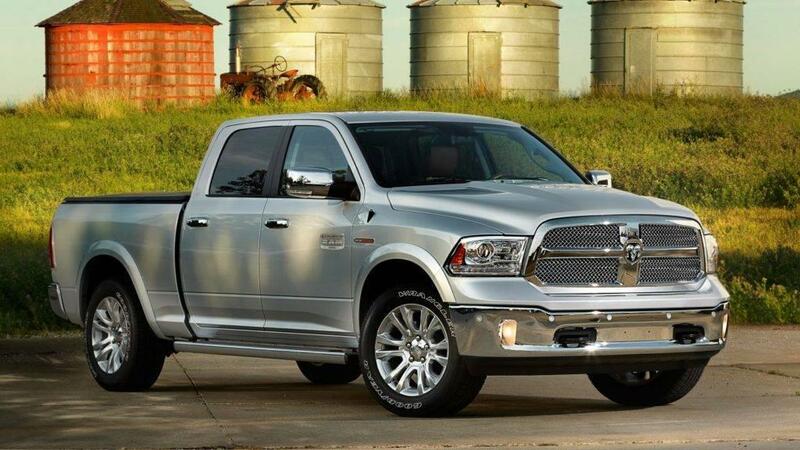 And with options galore on every model, buying a Ram 1500 has never been an easier decision. The 2017 Ram 1500 isn’t just a truck that fits the bill, it’s an innovative marvel that’s mastered the class.